A method was proposed to remove the subjectivity of gap size analyses approaches implemented by default in cover photography. The method yielded robust and replicable measurements of forest canopy attributes. Digital cover photography (DCP) is an increasingly popular method to estimate canopy attributes of forest canopies. Compared with other canopy photographic methods, DCP is fast, simple, and less sensitive to image acquisition and processing. However, the image processing steps used by default in DCP have a large substantial subjective component, particularly regarding the separation of canopy gaps into large gaps and small gaps. In this study, we proposed an objective procedure to analyse DCP based on the statistical distribution of gaps occurring in any image. 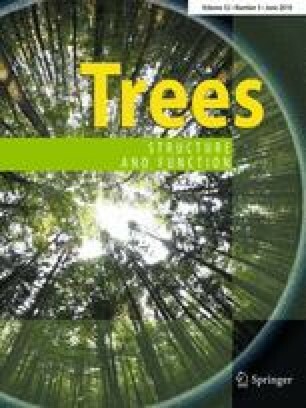 The new method was tested in 11 deciduous forest stands in central Italy, with different tree composition, stand density, and structure, which is representative of the natural variation of these forest types. Results indicated that the new method removed the subjectivity of manual and semi-automated gap size classifications performed so far in cover photography. A comparison with direct LAI measurements demonstrated that the new method outperformed the previous approaches and increased the precision of LAI estimates. Results have important implications in forestry, because the simplicity of the method allowed objective, reliable, and highly reproducible estimates of canopy attributes, which are largely suitable in forest monitoring, where measures are routinely repeated. In addition, the use of a restricted field of view enables implementation of this photographic method in many devices, including smartphones, downward-looking cameras, and unmanned aerial vehicles. This research was supported by the Italian national project URBANFOR3, funded by Lazio Innova (CUP: C82I16000000005). Francesco Chianucci was also supported by the research project “ALForLab” (PON03PE_00024_1) co-funded by the (Italian) National Operational Programme for Research and Competitiveness (PON R&C) 2007–2013, through the European Regional Development Fund (ERDF) and national resource (Revolving Fund - Cohesion Action Plan (CAP) MIUR). CaCo software is available online on Github (https://github.com/alivernini/caco). We acknowledged Editor and Reviewers for the constructive comments, which helped to improve the quality of the manuscript.